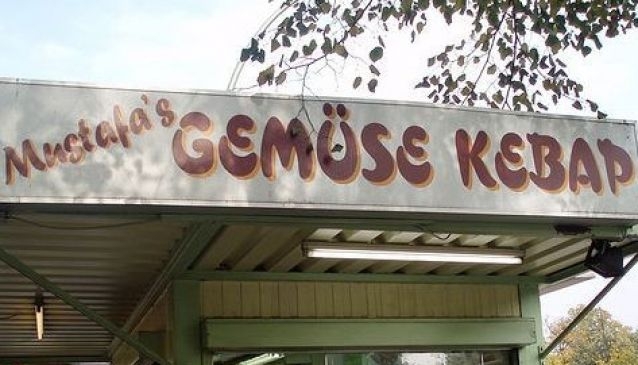 The recipient of Tripadvisors's Certificate of Excellence for 2013, you can't miss Mustafa's Gemüse Kebab in the streets of Kreuzberg as it is the small stall with a long line of patrons waiting to sample, yet again, their favorite kebab. Each kebab ranges in price from €2,50 to €3,50, which is quite a steal for a healthy and hearty portion of varying types of kebabs that cater to both meat lovers and vegetarians alike. Try some of the most loved kebabs of Mustafa; the Hahnchen Doner mit Gemüse (chicken with vegetables) or the Gemüse veggie Kebab, (all veggies) for a truly filling and gratifying meal. They are open daily from 10:00am till late, but be prepared to wait in line, this place is famous for affordable yet delectable Doner kebabs.